Maybe it’s because they’re one of the few things left in life that are non technology-related. Maybe it’s because it’s the first thing I bought myself a couple of months prior to moving and starting a new life in 2008. Or maybe it’s because they provided such good company during the times I felt alone. I paid only ten dollars for this set of windchimes, which is a steal for chimes (I know mine isn’t such a vintage set, but I’ve grown accustomed to their harmonial sounds). I’m sure at times my neighbors could’ve shot me for the relentless chime songs coming from my third floor condo, but I never got any complaints. My chimes are still with me, though now weathered and worn. Much like an old flag proudly waving, both require that common denominator of wind in order to perform their duties. I’ve always thought weathered and worn adds character to pretty much anything. Weathered and worn tells stories. This morning I ran across the Mother of all Windchimes -they’re called Corinthian Bells. I can’t afford them, but if I ever can you can bet I’ll have a set. Aside from the beautiful music of a harp – I’ve never heard anything quite as lovely. Thought I’d share one more video (not mine) showcasing this beautiful set – it’s so sweet. The end of this video made it an instant favorite of mine… and who couldn’t use a little more sweetness in their day? This ten-year mark of the September eleventh attacks will be a little different than the prior nine. 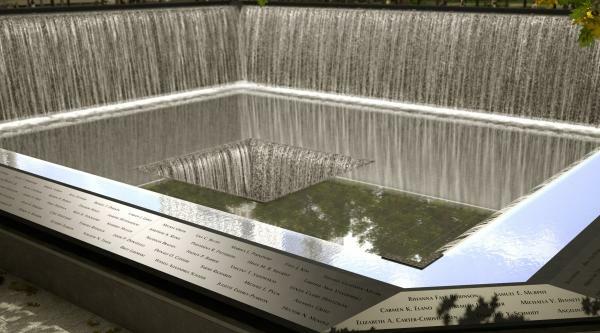 What’s sure to be an emotional unveiling of the 9/11 Memorial and Museum will happen this Sunday morning of September 11 2011. It has been a long-awaited and intricately planned project to say the least. Granted, these are my words. I realize there are no ‘appropriate’ words to use to describe the attack itself, it’s Memorial nor the intense emotions that run so deep when one thinks back to that fateful day ten years ago. This past weekend I watched a 2-hour special on the years of work leading up to the completion of the 9/11 Memorial Site and Museum. All the time, effort and respect shown by everyone involved was nothing short of an amazing story. 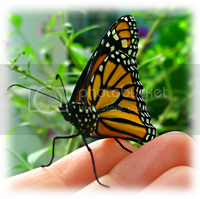 It had it all – love, grief, courage, oneness. Such an important word in the continued endeavor to heal – ONENESS. I believe the generations that went through these attacks will be working to heal for the rest of their lives. To me, there could be no more appropriate memorial than this beautiful one that took so long to conceptualize and create. 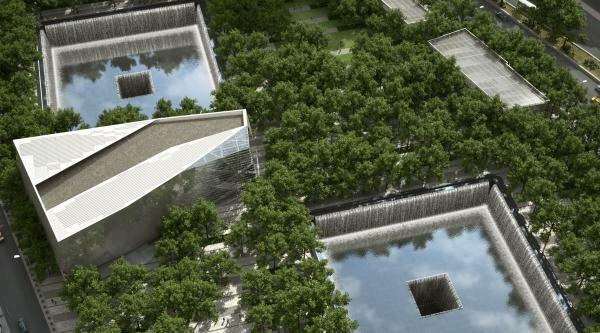 Two seemingly ‘endless’ pools sit on the area where the Twin Towers once stood. 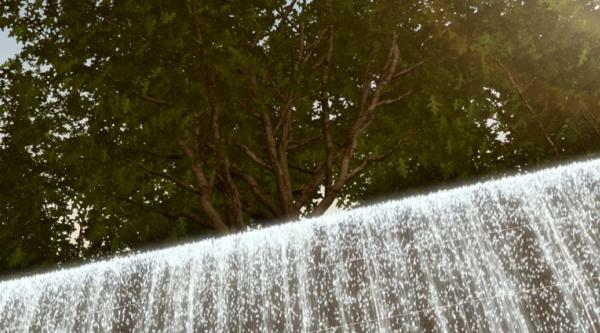 They are each nearly an acre in size and feature the largest man-made waterfalls in North America. The large pool of the initial waterfall spawns a second small one in the center which appears to cascade infinitely into the earth. 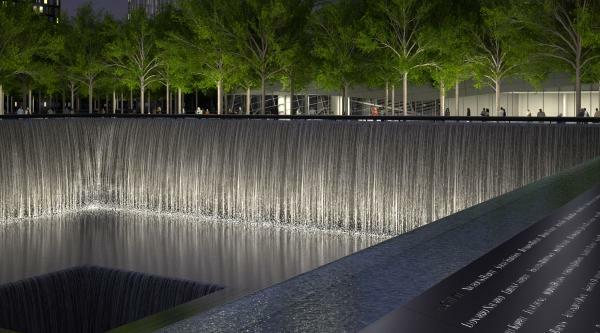 The surrounding bronze panels edging the pools are carefully inscribed with the names of every person who perished in both the 2001 and 1993 attacks. I can’t imagine there being many dry eyes for those citizens witnessing the unveiling of this Memorial, whether in person or on television. I’ve been told more than once that I ‘dwell’ too much on the most horrific terror attack in modern history. My answer to that is and always will be, so be it. One time when I brought it up to a close friend, I was dismissed with I never want to think about it again – it’s too horrible. It’s something that’s already happened and in the past now. As much as I still love this person, I’ll never forget the impact of hearing those words. Just mere days after the attack, when airplanes had yet to be given clearance to fly in our skies again – my ex husband told me I can’t watch any more of this, I’ve had it. From then on, just about everything else I watched had to be on my own time – adjusted around other shows which seemed to take precedence over 9/11. Again, so be it. I can report with much confidence that I did continue seeking information, and by the grace of God, I got it. I’ve said this before but feel it bears repeating – I’d rather have nightmares about 9/11 every night for the rest of my life than to ever to forget about it. It’s true each of us are different, and we all have our own ways of dealing with tragedy. I realize this post is only one person’s views of the lasting effects from the largest loss of life from a foreign attack in the US so far. But let us not confuse the term ‘morbid dwelling’ with somber respect and remembrance. 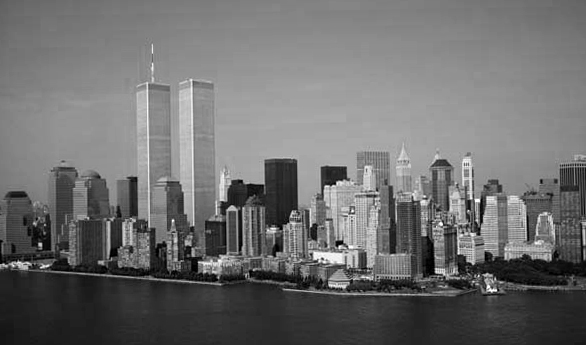 The act of remembering September 11th isn’t just black or white – equally as important are the shades of grey in between. Apparently, the context of this post has sparked some debate as to exactly who the intended target was. This should be considered my response. I’ll start off with a gentle reminder that this is MY blog. 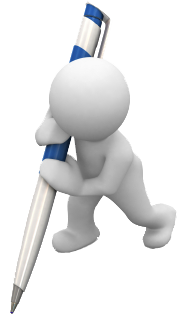 Although I remain flattered that anything I write could be of a holding interest to anyone – if you choose to negatively dissect a particular post on my blog, I feel that you should consider creating and managing your own blog. 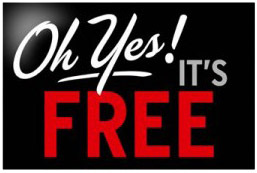 They’re absolutely free of charge. Secondly, I have always taken the utmost care to protect the perimeter of any issue I choose to write about. A person’s anonymity has and always will be of utmost concern. In actuality, this post could have been written about anyone – male or female, young or old, family, friend, colleague, or person at Walmart for that matter. There will be no apologies offered for any assumptions that were made. Thirdly, please read this post again. Now. If you openly admit to identifying with some or all of the traits I listed, you can rest assured that a problem exists. If you so note yourself exhibiting these traits, note that there’s a problem. If you actually sat there while reading this post and hand-picked traits that pertained to you… I’ll say it once more – there is a problem. How do you handle a miserable person? Specifically, an individual with anger issues? A person who, for the life of them, will not let up on their pathetic antics until they’ve brought down an individual or entire group around them? This type of individual must constantly be handled with kid gloves. Anything can and will set them off. They trust no one, and view the entire civilization around them as a threatening hell who is out to get them. The miserable person has few, if any, friends. Upon successfully downing others, they appear to be on a ‘high’ for a while. You see, bringing others down brings the miserable person much satisfaction. Truth be told, this individual is the epitome of selfish. There are many highs and lows, indicative of something even more serious than meets the eye. They have the uncanny ability to reach deep within their brain and pick out a person responsible for every single bad thing that has ever happened to them. Back to my initial question – how do you handle a miserable person? I’ll tell you the only way I know of – which is to totally cut them from your life, by whatever means necessary. One thing’s for sure – life is way too short. At this point, my patience level has been far too exhausted to entertain any other option. It seems to be my “I want” day, so please forgive beforehand. We all need one every now and then. I crave the sight and sound of ocean waves. I crave the mountains, and valleys. I crave love. I really really crave massive amounts of love. I crave a whole lot of honesty. I crave a world where you hand a cashier currency and she doesn’t have to mark the bill to make sure it’s real. I crave knowledge… particularly of what the future holds. I crave the scent of coconut and vanilla arising from a warm tropical setting. I crave for there to be no more hunger for anyone in the world ever again. I crave a pay raise. I crave some doggie lovin’. I crave wearing high heels again. Minus the pain. I crave sunlight on my face. I crave a long uninterrupted night of sleep. I crave financial comfortability. Not riches, just maybe to be able to loosen the old chest muscles a bit. I crave being on the water. I crave being in a relationship that never ends. Come to think of it, maybe I should’ve done a bucket list instead. In keeping with traditional Piscean fashion, I seem to always have a few to several pre-fabbed little fantasies floating around in my head. One ‘fantasy fave’ proposes the question – If you were awarded 24 hours to spend with a famous person of your choice, who would it be and why? I’m not one of those Hollywood star-chasers, nor is my life is so drab that I must live vicariously through them. That said, from time to time I do find certain news and current events of the ‘famous half’ to be of interest. I’m sure I’m not the only one – if I was, there wouldn’t be shows like Inside Edition or Entertainment Tonight. For what it’s worth, here’s my short list… and the reasons why. 1. 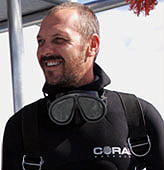 Mike Rutzen (Skipper, Oceanic Enthusiast, Free-Diver). Do I need to state the obvious on this one? An entire day of scuba and cage-diving with great whites in the favorably populated waters off the coast of South Africa, with one of the most respected experts in the industry. Just WOW. 3. 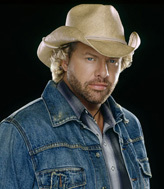 Toby Keith (Country Singer). I’d get him to take me fishing, and I bet I could persuade him to drag his guitar along for a few songs! He’s big and strong – so I’m thinking any bears we encounter would run the opposite way. I like his style, and I also get the impression that he’s a lot of fun. 4. 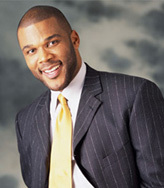 Tyler Perry (Actor, Producer, Screenwriter, Author). What a mega-talented man. Tyler was on Oprah recently and shared his heartbreaking childhood story, which brought him and the entire audience to tears. He persevered from the ground-floor up and is very humbly self-made. Add to that the fact that he’s hilarious. 5. 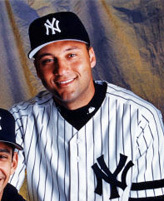 Derek Jeter (MLB Player, Shortstop for NYY). Okay, I had to throw a little eye candy in there. My favorite Yankees player would be ready for a weeks vacation after a full day of me dragging him around to show him off. Additionally, he looks (oops there’s that word again) to have an excellent sense of humor. 6. 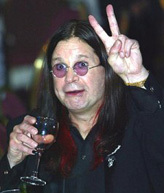 Ozzy Osbourne (Singer, Songwriter, Father of Darkness) Okay, for hilarity’s sake, humor me here with my childhood idol. True, his speech might be a bit slower and jumbled now from the um, well you know – but the guy’s a barrel of laughs. You just can’t make this stuff up. However, if this wish were ever granted I’d need to drag my daughter along with me. After all, Ozzy was her first concert at three years old. Come to think of it, I’d have to drag her along on my day with #5 as well. 7. 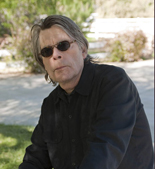 Stephen King (Author). Alas, I must look overlook the fact that he’s a Sox fan… for the man taught me the love of reading. No, I am not dark – he is simply talented. I’ve read many others, but his book ‘On Writing’ is a true love of mine… in my opinion, a writer’s must-have. He’s another self-made success of which I so admire and appreciate. 8. 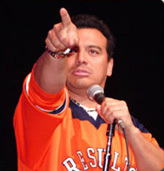 Carlos Mencia (Comedian). He would probably take one look at me and say, “hhhNo wayyy, bishhhh”. Oh how I DO love a really good comedian. I was fortunate enough to catch him live in ’08, no holds barred. Seriously, nothing was off limits. Know the thing I love most about him? His lack of discrimination – if you’re in his presence, you’re fair game. I’m gonna leave some room to grow on for nine and ten. Did I mention I love to laugh? ALOT? In this day and age I continuously wonder how much shock value I have left in me when it comes to news of violence and crime, especially within the family. Oh, to heck with the shock value – what about the age-old question… why. The latest murder-suicide combo in Gastonia – a husband and wife who were upstanding citizens of the community and were well-known for helping people in need. She was a cheerleading coach and teacher, he was a county building inspector who helped out and volunteered at the school with his wife. Friends, teachers, and students alike loved and respected them both. They also had children, though the news didn’t list their ages. Just what is it that makes the human brain snap? Is it a split-second occurrence, is it something that’s carefully calculated… are the consequences even considered? Is a chemically-imbalanced person even able to conceive of the repercussions of their actions? Did these family members used to sit around and have conversations about this kind of violence and how awful it is, thinking nothing like that could ever happen to them? I just don’t get it. I guess we’re not meant to get it. In this game of life, there are some things which we have control over, and some we don’t. We can choose to be kind and compassionate to people, or we can be nasty and vile. We can choose to help our neighbors, or we can hinder or block the good deeds of others. We can choose to ‘do the right thing’ – or we can attempt to break those around us. So how do you handle a miserable existence of an individual who is so delusionally obsessed over your life and that of your loved one, that it’s become their sole objective to infiltrate it in any way possible? An individual who recruits their own family members and friends to aid in their own juvenile schemes? 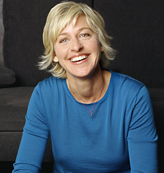 An individual who is greatly influencing their child with their deception and lack of moral character? I believe that this lone corrupt individual must be left to bask in their own self-destruction. I choose to neither feed nor lend energy to this hateful, dark, putrid excuse for a human being. So I’ll tell you how I handle it. I choose happiness. My drama cup shall remain empty. I’ve made it this far, and believe me when I say I ain’t going back. I choose that bright light that our Lord promises and provides, free of charge – for any of us who are willing to receive it. I just noticed my daughter’s latest facebook status update. It reads, “When at night you cannot sleep, talk to the Shepherd and stop counting sheep.” Truth. My boyfriend made me a bracelet this weekend. I watched closely as he carefully color-coordinated bead by bead on a strong leather strand. As he tied it on my arm I told him, “This is my love bracelet.” Truth. Now I’m gonna dive deep. What is a simple definition of Truth, really… a verified fact? Conformity to reality or actuality? Sincerity… integrity? A fact, a proof? Most of us have known one or more persons in our life that have issues with honesty, or have problems telling the truth. The ones that really get me, though, are those who are blatantly caught at something and can still look you right in the eye and lie about it – even when facts are presented. For some reason, it always brings to mind one of my all-time favorite comedic skits. A woman confronts her man over questions of infidelity, and the man vehemently denies any wrong-doing even though he’s caught red-handed. Click here for a look… this is hilarious in a raw kinda way. If only everyone just knew how much the truth really means, of all it’s able to accomplish for us. That when used, it can overcome so many negative feelings or emotions. Being honest makes people trust you, respect you. It brings about a heightened sense of security in a relationship, and strengthens each of you in many different ways. When you tell a loved one the truth, it’s actually saying ‘you are precious to me and worthy of complete knowledge’. The way I see it, the general consensus wins. Once a liar, always a liar. In my forty-two years, I’ve personally never witnessed a huge changeover in a person who has issues with being honest. That’s unfortunate, not only for them but for the persons involved with them. It’s been forever and a day since I’ve been to the amusement park Carowinds. I’ve always lived within a 5-mile radius of it, so we always had a season pass up until several years ago. My good-as-gold boyfriend suggested going yesterday, so we gathered each of our daughters up and made a wonderful day out of it. 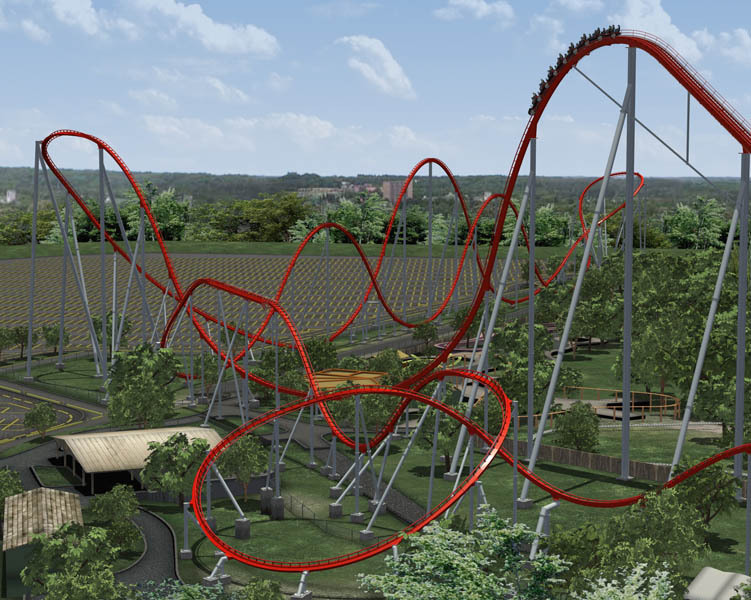 I’ve gotta say I am now ruined on any other roller coaster at the park since I’ve ridden their newest addition, The Intimidator. I mean WOW, this ride is intense – we were all nervous at first. The sheer height of the thing takes your breath looking at it, and it spans a great deal of the park itself – but once we rode it we were all hooked. It’s so awesome that I could ride that thing over and over with no breaks between. Appropriately named after the late great Dale Earnhardt Sr., The Intimidator is the tallest, fastest, and longest roller coaster in the southeast. With a height of 232 feet, track length of 5,316 feet and speeds upwards of 75-80mph, it’s a must-ride. My favorite part has to be the eight ‘drops’ it offers. I found a video of Kerry Earnhardt (Dale Earnhardt’s son) riding it for the first time. I loved it… it’s almost like watching a young Dale since he has always favored his dad so much. Yesterday my boyfriend’s *ex* contacted me via email. She wanted to clue me in on some not-so-nice things about him, one in particular. This time, I was willing to listen to what she had to say. After all, I’m a strong adult female, and I deserve to ‘be in the know’ on a person that may very well become a part of my future. I thought… after I hear what she has to say I can then make the decision to believe all, some, or part of it – or none, as the case may be. Let me just say I don’t dis-believe what she had to say. Now let me attempt to break this all down. Case in point – my own ex has dated a wonderful woman for about a year and a half now. Not only is he undeserving of a woman of such statutes as she, but he does nothing in an attempt to improve his lifestyle in order to even try to reach her level. Never have I seen two more different people. When I learned of them dating, I immediately felt much empathy for her – and admit I even contemplated contacting her and trying to warn her. That thought lasted an hour at the most – I would’ve been a fool to do it. I mean c’mon, she’s a big girl – and would you like to try and guess how it would’ve been taken? Just like I told my guy’s *ex* yesterday… it likely would’ve either fallen on deaf ears, or she would’ve have immediately thought I wanted him back. So, I opted not to. And I know it was a good decision. Something else to consider is the fact that people do change. While this change isn’t always for the better, miracles do sometimes happen. I’ve seen a few hard, hard souls out there make the switch from dark to light – I know that it is possible. Now… should you use this possibility as an excuse to remain in an abusive relationship? Absolutely not. What I am saying is sometimes a person comes out of a relationship having actually learned something – and applies it in their next one. That is all. Thought I’d attach a pic I took this morning of my little haven in the sky, while at least some of my plants are still living. I’ve already lost three to the heat. 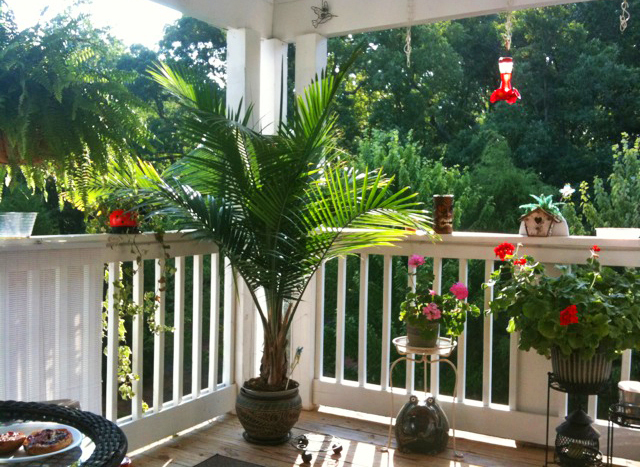 Speaking of heat, best get out and enjoy a little outdoor time before it kicks in today. (Note morning bagel to your immediate left.) Now if you’ll excuse me, I’m off for a much-needed recount of my many blessings. Ever since I cancelled my cable, I tend to stay behind on the Hollywood news. I’m well aware that some people think it’s silly to keep up with famous people anyway – but it’s more of a curiousity to me, the ability to see how the ‘other half’ lives. The Mel Gibson telephone conversations with his wife – I just ran across a few of the audio recordings online. Oh. My. God. To say this ‘man’ has serious, serious, serious problems would have to be the understatement of the decade. In my opinion, Ms. Grigorieva did the right thing by acquiring a restraining order before it was too late. Say what you will about her secretly taping him… I personally think she did the right thing. The whole situation, left as-is, surely would have resulted in tragedy. Given his fame and social status, she likely would’ve had problems proving that her very own life, and that of her child, was in danger. It’s obvious there is no arguing with him – simply listening to the recordings is proof enough the rational is just not there. Something is so definitely amiss here… I’m no psych doctor, but I am able to recognize that little factoid all the way from Hollywood over to the east coast. Ranting and yelling until he’s hoarse; cursing, lewdness – he leaves no stone unturned. No area unchartered. Beats her right down to a pulp. Yells that she deserves a bat to the head, that he’ll bury her in the garden. On another audio, he admitted hitting her in the face with their baby on her lap, even breaking her teeth. You needn’t see any video to hear the sneer in his voice when he boldly yelled that she deserved it. And guess who’s to blame? That’s right, folks. It’s all her fault. Amazing, isn’t it? From start to finish, she’s to blame – the fact that his career is over, that he has no friends, literally everything. You cannot argue with a person who possesses that ‘something’ in their brain which causes them to act – and react – like this. I shuddered the entire time I listened to this, because it beared such a striking similarity of the many instances which occurred in my old life. Instances that up until recently I was embarrassed to even speak of. I haven’t had to witness this type of violent behavior in years, and hearing it again tonight brought it all back. I so despised the sinking wave of weakness it brought over me. For the entire eight minutes of audio, I felt as though I was inside her – sitting there with no voice, once again powerless. Beaten. Broken. Reduced to nothing, yet again. Have a listen for yourself. This is only one of the releases, to date there are four – all equally as disturbing. Be forewarned – if you’re offended by ‘mature’ language you may want to skip this one. To be quite honest… it was his whole violent demeanor that got to me. Bad. Link to Mel Gibson telephone “conversation”… one of four. If you or someone you know is in a situation of domestic violence, please get help. these numbers are growing daily. Click here for link to National Domestic Violence 24-hr Hotline. So remind me please of why I’m up at 4:30am perched behind the keyboard. Maybe it’s because after lying in bed for over two hours prior with my brain scrambling at 200+mph, I opted for the only escape hatch in sight – my computer. Yes, today should be a nice little productive day at work. Seriously, I’m thinking maybe I can just submerge myself in the huge workload I’m supposed to have coming and forget about everything in my personal life for a few to eight hours. I’m living the whole once upon a time theatrical bit. I don’t know what it’s gonna take in life for me to realize that there are no fairy tales, nor fairy tale endings. The reality is, no matter how happy you are, or how happy you think your partner may be – there’s always going to be that third person infiltrator. Hell, maybe fourth fifth and sixth, for that matter. They may come sooner, they may come later, but make no mistake – they always show up. And sometimes, they just walk right on into the house without even knocking. Without being asked or invited. Because that’s what a little harlot infiltrator will do. Oh, sorry… just thought I’d throw an example in there for ya. Oh, girl… you should always ‘fight for your man’! Love will prevail… stand tall and don’t let anyone infiltrate what you have, break out the big guns! I am not in my twenties or even thirties anymore. Trust me when I say the old ‘fire in me’ can still be ignited – but it won’t be happening for the soul purpose of an attempt to save a relationship. I learned a long time ago that doesn’t work… it simply cannot be that one-sided. So what am I saying? That I am well past the point of exhausting myself in a heated battle or debate over a) how a partner should handle said infiltration, b) addressing the harlot personally, because it’s not me who should be taking care of the situation, c) launching an all-out war, thereby leaving not a shred of doubt as to how I really feel… or d) any or all of the above. No, instead, I’ll just opt to gracefully take a step back. If the situation continues… well, I don’t know how graceful it’ll be, but I will be bowing out completely. Although there have been multiple studies done that actually suggest the opposite – it’s my own experience that we get more emotional as we get older. I’m not talking about the more generalized emotions – being happy, angry, fearful, etc., but the more ‘philosophical’ ones. The types of emotions that tend to make a person ‘linger’ a bit more on the past, or ‘delve back’. Is it true though? Do we get more emotional as we age? I can only comment on what I’ve seen personally, which is that I’ve seen more than a couple of mature men cry when reflecting back on certain times in their lives – in particular, times they wish they could go back and change. In each instance, the individuals appear different now than how I was told they used to be. Different how? It’s kind of hard to put into words. Softer-spoken, and rarely if ever angered – just to name a few. What changes in us chemically as we get older that tends to make us more ’emotional’? And is it ever possible for a person to ‘change’? I don’t know the answer to the first question. As for the second one, I believe wholeheartedly the answer is yes. Maybe I’m wrong, but I consider being more emotional and ‘in-tune’ with yourself and others to be change. One thing I do know – the pill of regret is seldom swallowed. One of the saddest things you’ll ever see is a person reflecting back on losing the best thing they ever had in life.